America’s largest sheriff’s department still lacks a policy for body cameras after years of studying the issue, so hundreds — perhaps thousands — of its deputies have taken matters into their own hands and bought the cameras themselves. It’s reassuring for those Los Angeles County sheriff’s deputies who have the devices, which sell for about $100 online, but it raises a host of thorny questions about transparency. Chief among them: How can the public be assured critical footage will be shared if there are no policies for what gets disclosed? Nearly every large U.S. police department has a policy for officers who wear body cameras, and it has become somewhat common to see video from these cameras emerge — sometimes due to court orders — following high-profile shootings and other clashes. An estimated 20 percent of Los Angeles County’s 10,000 deputies have bought cameras for themselves, according to the county’s inspector general. 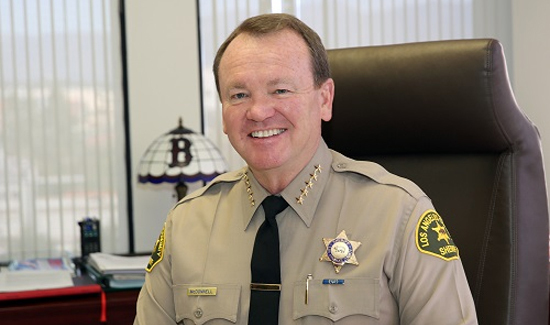 Sheriff Jim McDonnell concedes some deputies have their own cameras but disputes that as many as 2,000 wear them on duty. Whatever the number, not a single frame of any video from these cameras has ever made it into the public domain. A 2014 report released by the U.S. Justice Department and the Police Executive Research Forum advised police departments against allowing officers to use body cameras they purchased themselves. There are some U.S. police agencies that allow officers to wear personal body cameras, but they have adopted policies to address those concerns. A police department in northern Indiana adopted a policy in January that allows its officers to buy and wear their own body cameras. The Mishawaka Police Department’s rules came after a year of discussions about how to store and handle the recordings. A police official said in January that about 10 officers were wearing their own cameras. The Los Angeles County Sheriff’s Department is developing a policy that would set out guidelines for deputies who wear their own cameras, though it’s unclear when that policy will be finalized and put in place. “It’s something we saw the need for, we initiated it, and it is working its way through the system,” McDonnell told The Associated Press. Deputies have never captured any use-of-force incidents or fatal shootings on personally owned body cameras, McDonnell said.